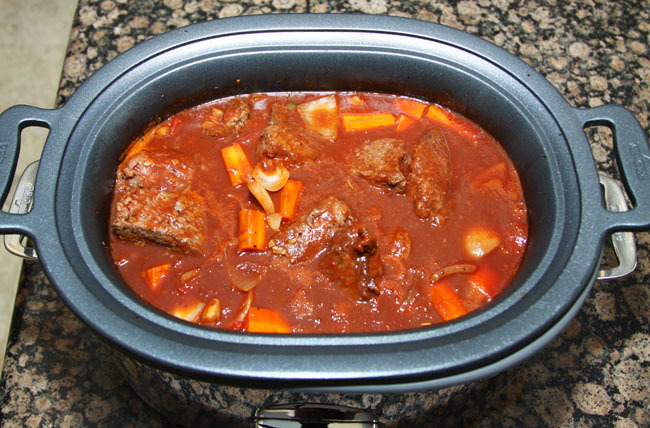 Today I decided that I was going to prepare dinner really early in the slow cooker. 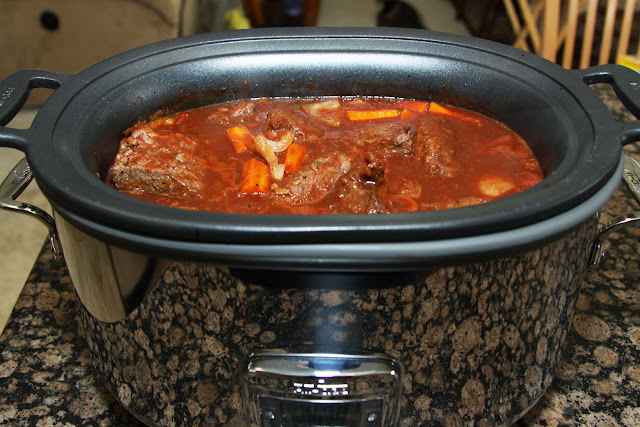 I was given the All Clad 7 quart electric slow cooker for my birthday last year and I love it. 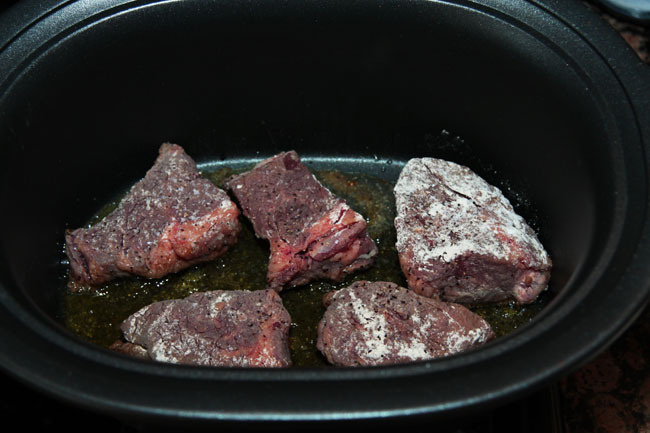 It has a cast aluminum insert that I can place on the stove and I can brown and sear meats and vegetables before putting them into the cooker for optimum flavor. 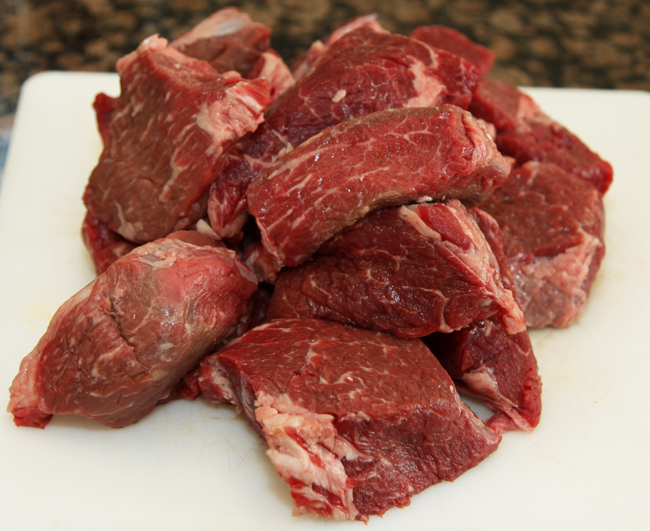 I started with some really good boneless beef short ribs. I trimmed the fat and cut them into three inch pieces. Then I cut up 3 carrots in one inch pieces. 4 cloves of garlic chopped that are medium size and 2 medium yellow onions cut in about one inch pieces so they will all cook at the same time. Then I opened 2 cans of stewed tomatoes and 1 6 oz. can of tomato paste and one bottle of beef stock. I took one full bottle (750 ml) of red wine and this can be any wine that you would enjoy drinking. This one is a Cabernet Merlot mixture. 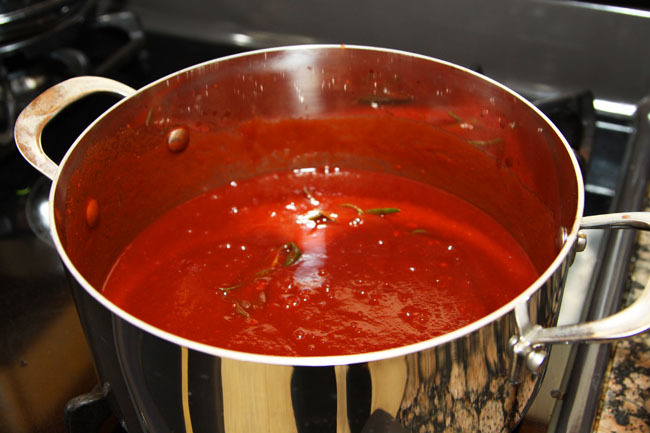 Then add the 6 ounces of tomato paste and whisk it into the wine until it is smooth. 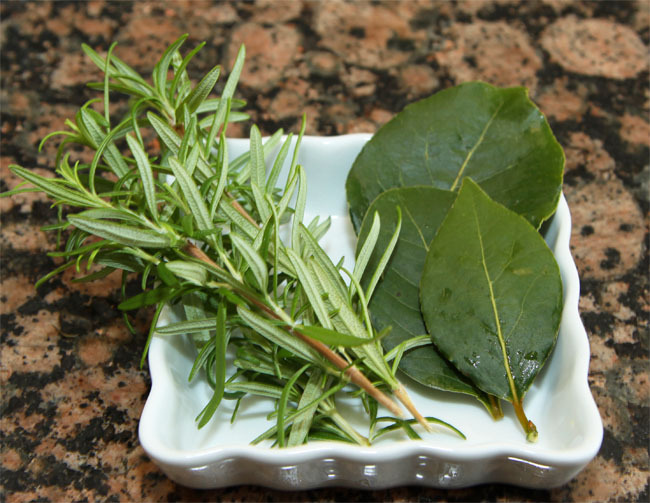 Add your fresh rosemary 3 sprigs and a few bay leafs into the mixture and whisk it for about ten minutes until it has reduced by one third. I have a wonderful husband who planted a full garden for me after my lung cancer so that I could enjoy fresh vegetables and herbs all year round. It will reduce very quickly so keep your eye on this. After the ten minutes Remove it from the burner and set it on the side for later. 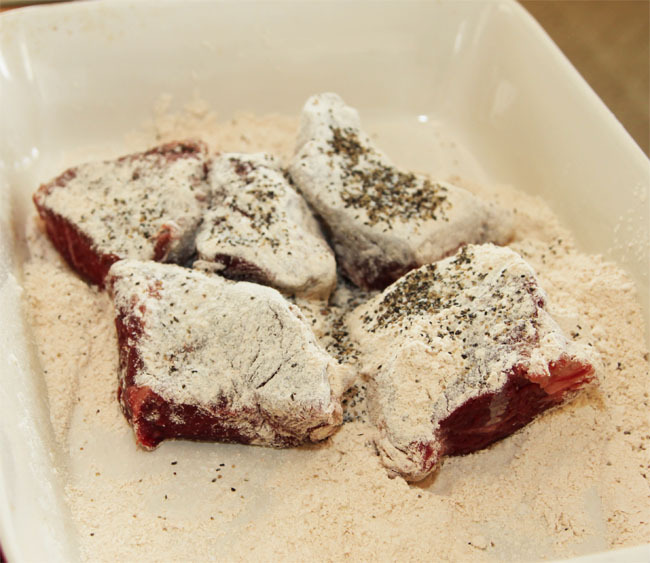 The I added 1 cup of whole wheat flour 1 tablespoon of kosher salt and 1 teaspoon of pepper to the flour and coated each and every rib shaking off the excess flour. 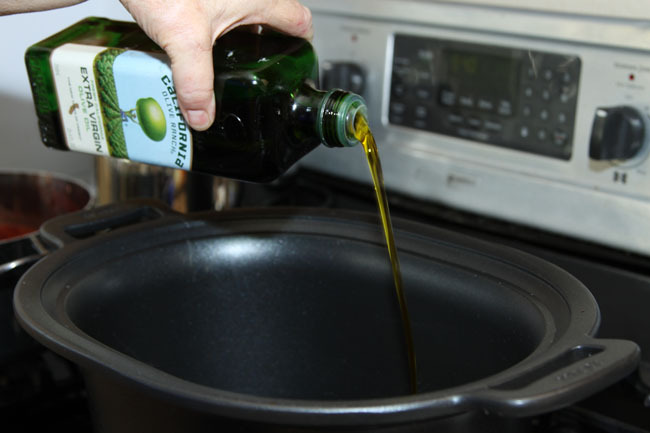 Then add about a quarter cup of really good olive oil (California makes a superb oil) to the slow cooker insert pan. I love this cast iron aluminum insert. Food browns beautifully in it. Then you are going to start searing your ribs on all sides. I do it in batches so they aren't too close in the pan. 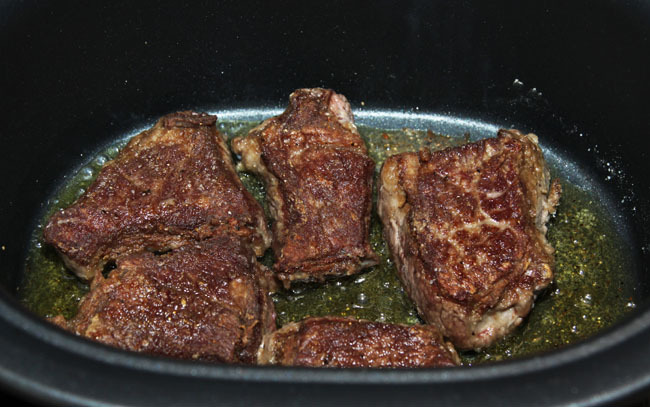 After all of the meat is seared on all sides, remove it from the pan and place it on a plate until later. 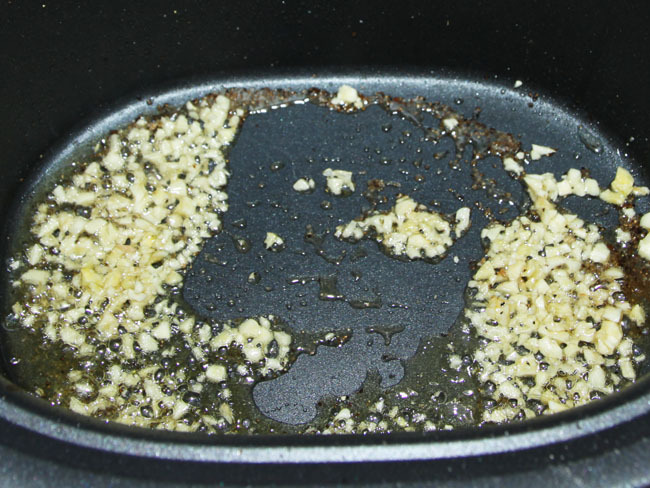 Then you are going to add your garlic and watch the garlic you don't want it to burn because burned garlic is simply awful!!! 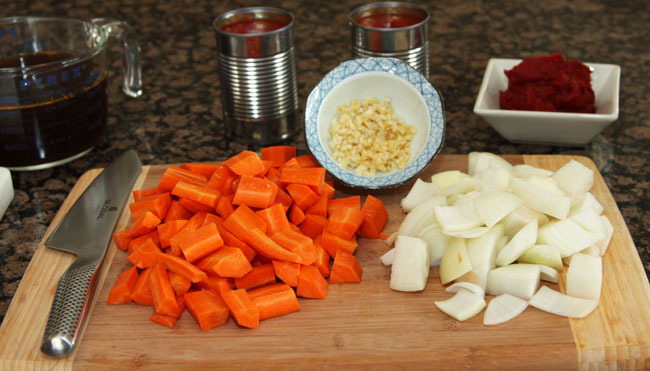 Then add the onions and carrots along with the 2 cans of stewed tomatoes. Then add 1 teaspoon of Herbes de Provence and crush them in the palm of your hand and sprinkle them into the mixture. 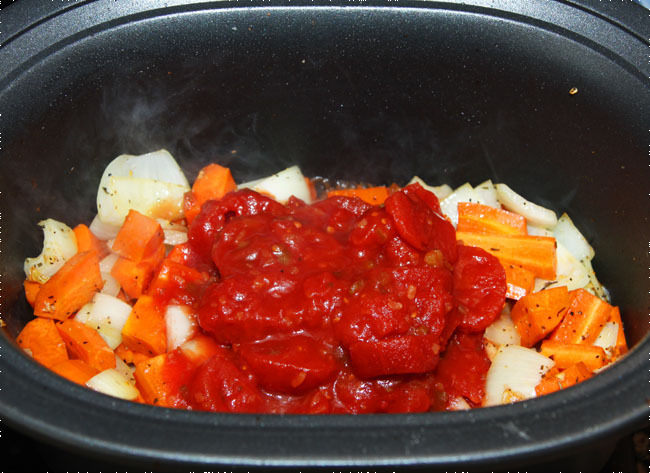 It will add depth to the flavor of the dish. 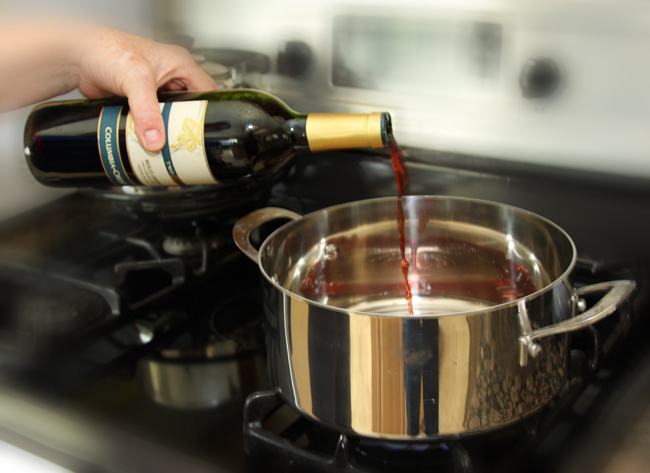 Then you are going to add the wine mixture and the meat back into the pan. 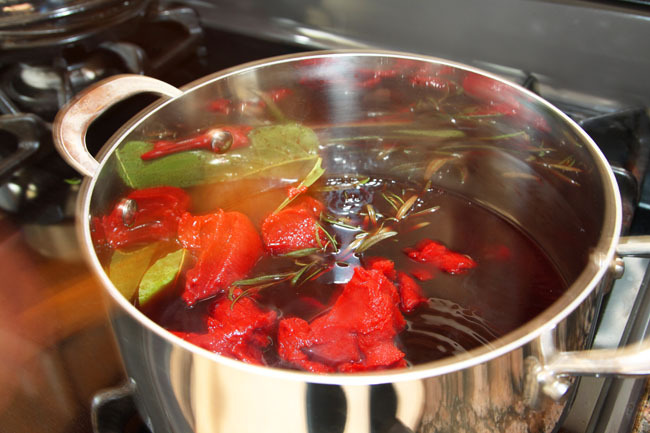 Add the 2 cups of beef stock and give it a little stir to make sure that every piece of meat is covered with the sauce. Then set the cooker to low setting for 8 hours and press start. You can stir it occasionally through out the day or you can just leave it. Here is the finished product. I can assure you that it tastes just as good as it looks!!! I added some hapa rice which is a mixture of brown and white rice. This is as easy as it is good. It is fall off the bone tender and very juicy. I would pair it with a crusty garlic bread so I don't miss one drop of the juices. I hope you enjoy it!!! I will follow you back Bev. Thanks for coming and following me on the Hop!!! Glad you said "any wine you enjoy drinking." I think that is so important when you do a recipe... found you on the Sweet Link up. Following you everywhere. Hi there. This recipe looks so divine. I'm glad you said what kind of red wine you used because I am not a red wine drinker. 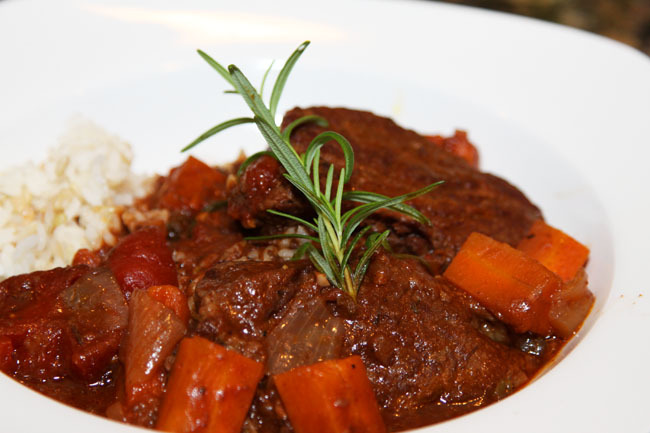 The fresh herbs do make a difference in a recipe. Your pictures are magnificent. The are only missing smell-o-vision. 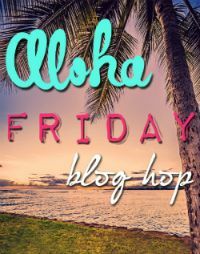 I'm your newest follower from the Aloha Friday Blog Hop. 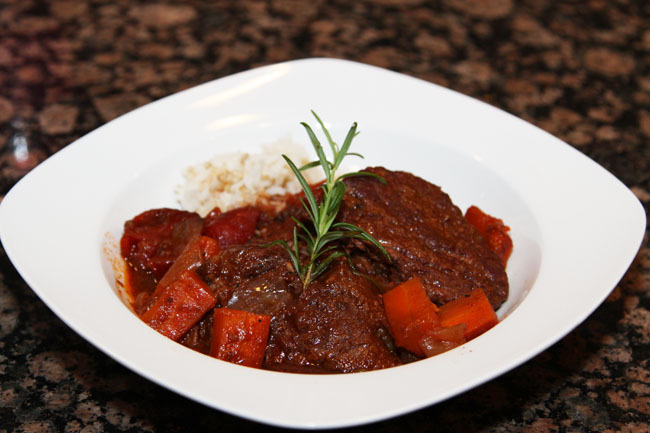 I love my slow cooker, this recipe looks delicious! Glad I found you on the Aloha Friday Blog Hop! Have a wonderful weekend. It's 7 in the AM and now I want beef :) Found you from the Aloha Blog Hop. Thanks for co-hosting. I'm your newest follower, and I hope you'll follow back. Happy Sunday!!! It looks so tasty and also spicy. I’m going to make it tonight and impress my parents. That dish was so mouthwatering and also looked good in the pictures. I’ll surely try this tonight and impress everyone. Hi there - This looks really good! I am a new follower from the blog hop. 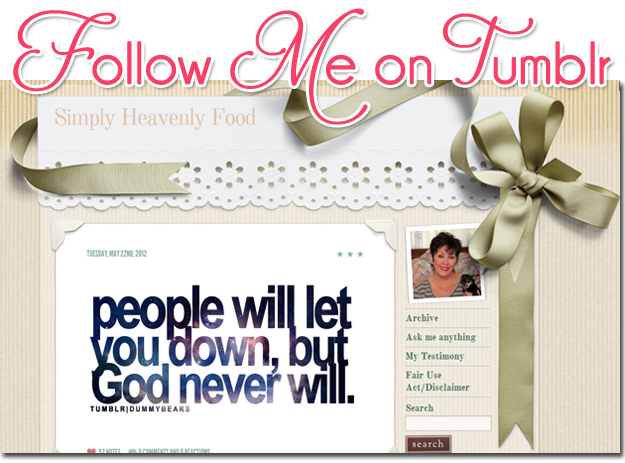 I hope you come over and check out my blog too! 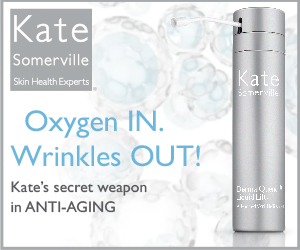 And thank you so much for the wonderful comment on my blog! I'm not a meet lover, but I think this is a very good recipe that you could enjoy.